Our new home has a little more space than our last home, which has been wonderful for entertaining, so we've been doing a lot of it! Last weekend Bryson invited all of his boy cousins over for a sleepover (we were sad Brock couldn't come because he was out of town). 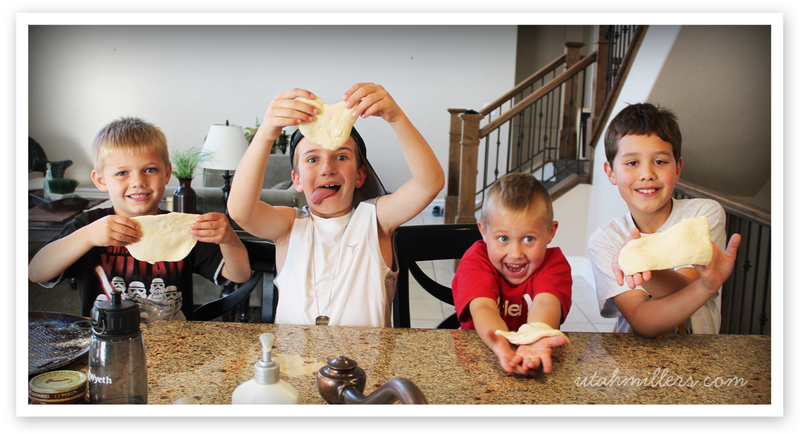 They made their own personal pizza's, which all ended up being quite the creations. 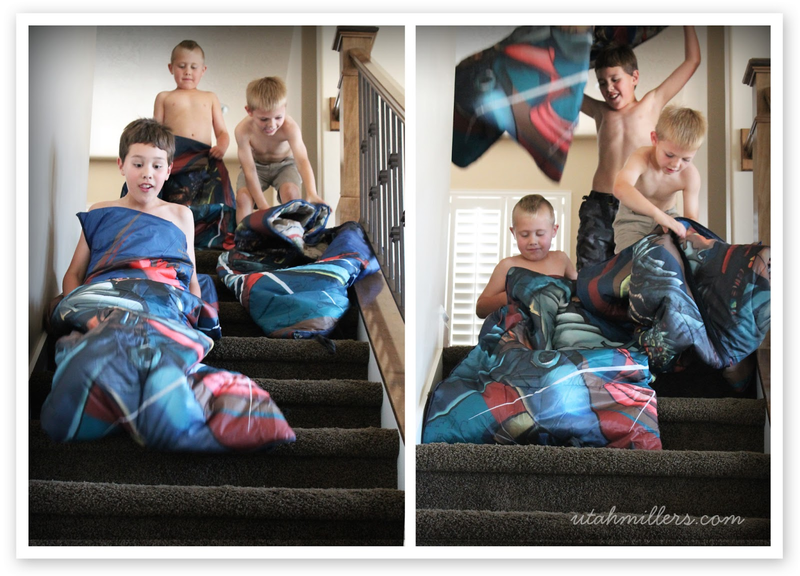 They slid down the stairs in their sleeping bags, I'd estimate approximately 50 times each. It was wild! 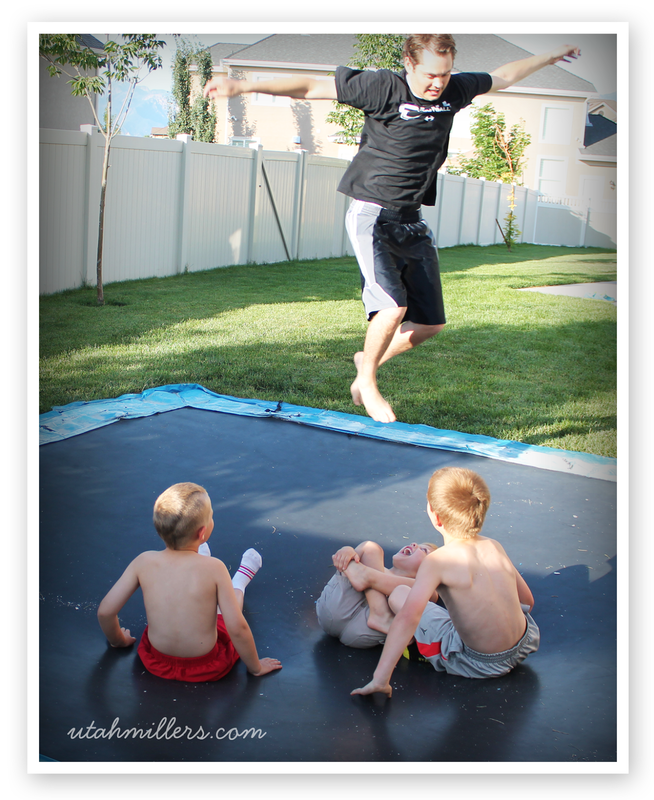 When Mike got home the boys had a blast playing crack the egg with him. We kept a tally of all of the injuries throughout the evening and if I remember right, this was the final tally: Bryson = 0, Tani = 3, Chazz = 3, Naish = 12. Grand total = 18! Thankfully they were only minor injuries, but we had fun keeping track and adding to the total. 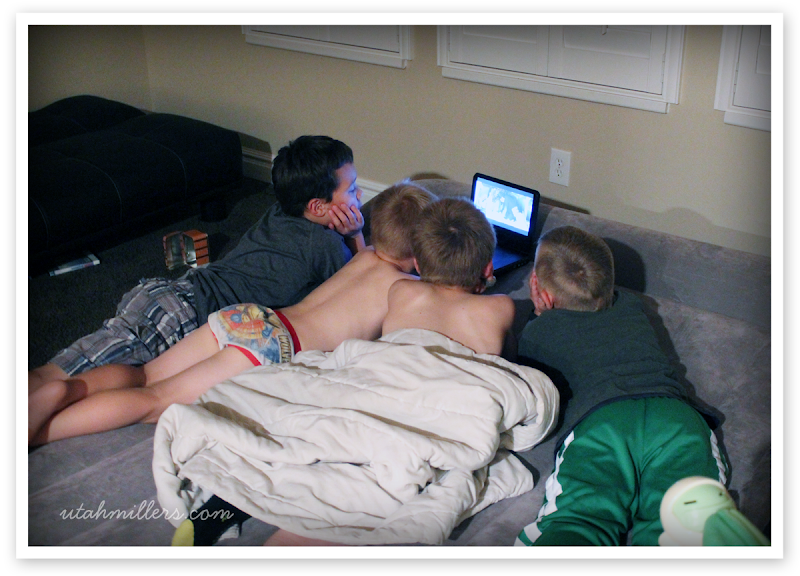 They ended the night huddled around this little DVD player to watch Oz the Great and Powerful. 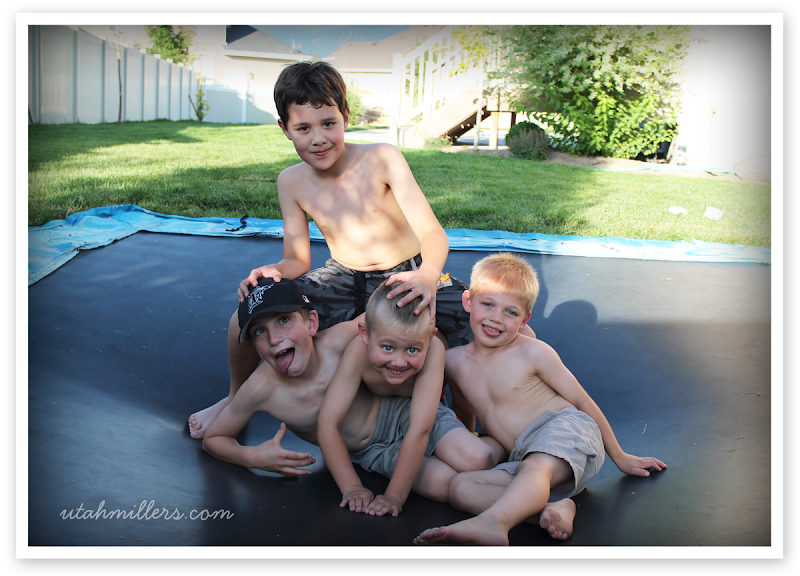 The boys had a blast and it was fun to spend time with each of them! We missed you Brock!